3. Its highly recommended to take a backup of phone stock recovery, to do this tap on “backup/restore” than tap on “Backup current recovery” and save the backup in SD card. 4. 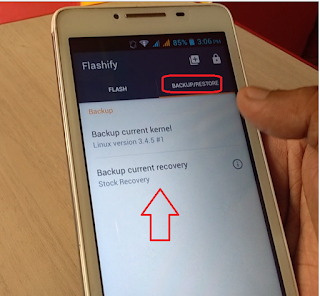 Now tap on “Flash” – “Recovery Image” and tap on “Download TWRP” or “CWM” to download, choose latest and suitable version for your phone.